For the second time in my life I had the profound, glorious, and wondrous experience of witnessing and participating in the miracle of life up close. Our second daughter, Annarose Benoit Robbins was born on Friday, August 22nd at 7:00 PM PDT. She is healthy, happy, and such a pure expression of love, joy, and spirit. I am blown away by my feelings of love and connection with her, in awe of my wife Michelle for carrying her and giving birth (naturally), and in deep gratitude and appreciation for the miraculous nature of life. As I felt when Samantha, our two and half year old was born, it boggles my mind to think that we all come in this way and that most of us are fortunate enough to be healthy. Anyone who has experienced the birth process up close like this knows what a remarkable feeling it is. And, even if you have not been in the room when a baby has come in – we all came in this way, and therefore have experienced it first hand. It amazes me how easily we forget about the miracle of our own births and the births of every other person on the planet. We take so much for granted and don’t pay attention to the miracles that exist all around us all the time. I’m so grateful for the birth of our little “Rosie” and look forward to the growth, learning, love, pain, adventure, challenge, and excitement of being her daddy. I’m also grateful that through her birth I am once again reminded of how sacred, important, and miraculous life is. Like most people, I often forget and get caught up in the day to day stuff of life. Take a moment today and pay attention to the miracle of your own life, the lives of others, and of life itself. When we do this, it alters everything. I have been a bit obsessed with the Olympics. I love watching the passion, intensity, and seeing the greatness on display. These Olympics have been filled with incredible competitions, athletes, and some of the greatest performances in the history of the Olympics – Usain Bolt from Jamaica in the 100 and 200 meter dashes, Dara Torres in the pool at age 41, Kerri Walsh and Misty May-Treanor with their beach volleyball dominance, the Chinese divers, and of course Michael Phelps and his 8 golds and 7 world records in the pool (maybe the greatest performance in the history of sports, not just the Olympics). As I have been awed and inspired by these athletes, I have also been reflecting upon “greatness” in general. While most of us cannot run, swim, or compete at the level of these Olympians, we all have greatness within us. Appreciating greatness in others is a way for us to get in touch with our own greatness. This is not about us being arrogant, competing with others, or even “winning.” This is about being able to recognize, acknowledge, and be grateful for the natural gifts and abilities we have. Any person who is able to achieve anything of significance in life, and more importantly anyone who has a strong sense of themselves, is in touch with their own greatness at some level. Of course we will have doubts, fears, and insecurities. And, at the same time we can take a step back and appreciate ourselves and the greatness within us. When we do this, we celebrate ourselves in a powerful, positive, and healthy way. And, when we’re able to fully appreciate the greatness within us, not only will it allow us to reach new levels of success and fulfillment in life, it also allows us to see and appreciate the greatness in others and in life itself. I like to pretend that I’m someone who’s totally laid back, easy-going, and able to go with the flow of life. However, sometimes I find it very difficult to let go and just trust the process. Can you relate? My wife Michelle and I are learning this as we await the arrival of our second daughter any day now. 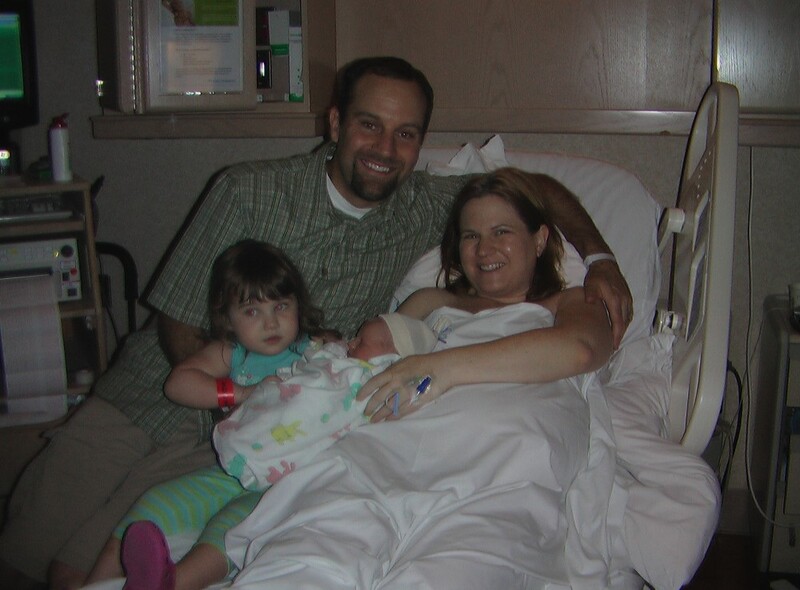 Samantha, our first, came two and half years ago and was almost a month early, much to our surprise. Since that was our first and only experience – we assumed this second time would somewhat similar. However, this has been quite different already. The due date is today, Monday, 8/18, but we assumed the baby would have already arrived a few weeks ago. We’ve had a few false alarm trips to the hospital and the mysterious ride of this process continues to excite us, baffle us, intrigue us, and humble us deeply. What a great opportunity for us to learn, grow, and GO WITH THE FLOW. Being able to let go of our attachments, desire to control, and of making things be how we think they should be are all important elements of our growth, fulfillment, and peace in life. What if we were able to really let go, trust, and just allow things to be as they are? That would be cool, much less stressful, and a lot more fun, wouldn’t it? The key to going with the flow in life is to be able to appreciate what’s happening, not resist it, and be honest about we’re feeling about. Instead of blaming the circumstances, expecting always to be in control, and having to have it all figured out – we can let go and enjoy the ride. This is easier said than done for most of us and in many situations, but when we do it – the peace, freedom, and power we experience are amazing. See if you can let go and go with the flow in your life today. Have fun…and, think good thoughts for the safe, easy, and healthy arrival of baby Annarose! Thanks…stay tuned! We are each way more powerful than we give ourselves credit for. We have the ability to make a difference. This short video is a reminder of the power of one. The Opening Ceremonies of the Olympics are today and I’m fired up. I LOVE the Olympics and was fortunate enough to attend both the 1996 Games in Atlanta and the 2000 Games in Sydney – two of the most incredible experiences of my life. The Olympics are always filled with so much passion, energy, and inspiration. One of the greatest moments in Olympic history, in my opinion, happened in 1992 in Barcelona. It wasn’t a gold medal, a world record, or even a great accomplishment – it was the courage of a man to get up and keep going, and the love and support of his father that was so remarkable. Check out this clip and get some tissues (even if you’ve seen it before, as I have dozens of times).